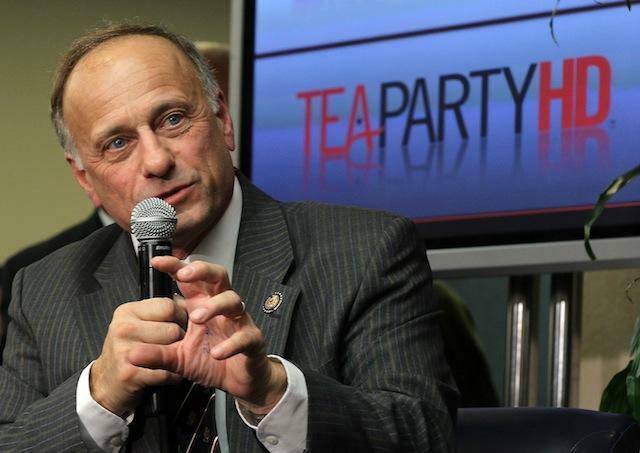 Iowa Republican Rep. Steve King, currently mulling whether to launch a bid for the Senate, hired a political consultant who raised money for Texas Sen. Ted Cruz and several other conservative candidates, a decision that could offer a clue about his future plans. The Des Moines Register reported last month that King recently hired DeLullo & Associates, a political fundraising firm based in Alexandria, Va., which has had its fingerprints on a string of victories for tea party candidates in the past few years. The boutique firm's founder, Erin DeLullo, was a chief fundraiser during Cruz's successful runoff campaign last year, and for Georgia Republican Rep. Tom Graves in 2010. She also raised PAC money for Kansas Rep. Tim Huelskamp's campaign the same year, and served as the national fundraiser for Ken Cuccinelli's attorney general campaign in 2009. King has not said if he'll run for the seat, which has been held by retiring Democratic Sen. Tom Harkin since 1985. King says he will decide "soon." Speculation about his ambitions have swirled for months in Iowa. Last week, Iowa Republican Gov. Terry Branstad appeared cool to the idea of King launching a bid when he told reporters that the Senate doesn't need "another congressman" in the chamber. In response, King told the Des Moines Register: ”There’s no way to respond to the inquiry while maintaining the necessary verbal discipline."